Because I love Rex, I gave him the shirt off my back. 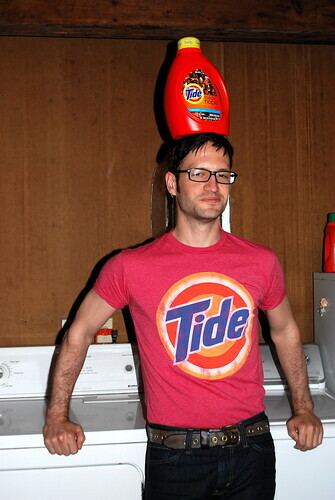 He's wearing my red Loads of Hope vintage T-shirt from Tide. Loads of Hope is an excellent corporate program. 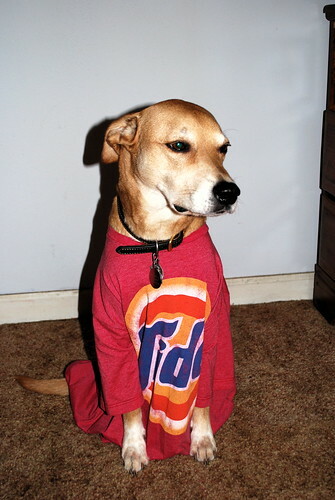 Every T-shirt or bottle of Tide with a yellow cap and Loads of Hope label purchased helps Tide bring a mobile laundromat to people in need during times of disaster. The shirts are very soft. I think I'm going to buy a blue one, too, eventually. Rex is very soft, too, but he's not for sale.